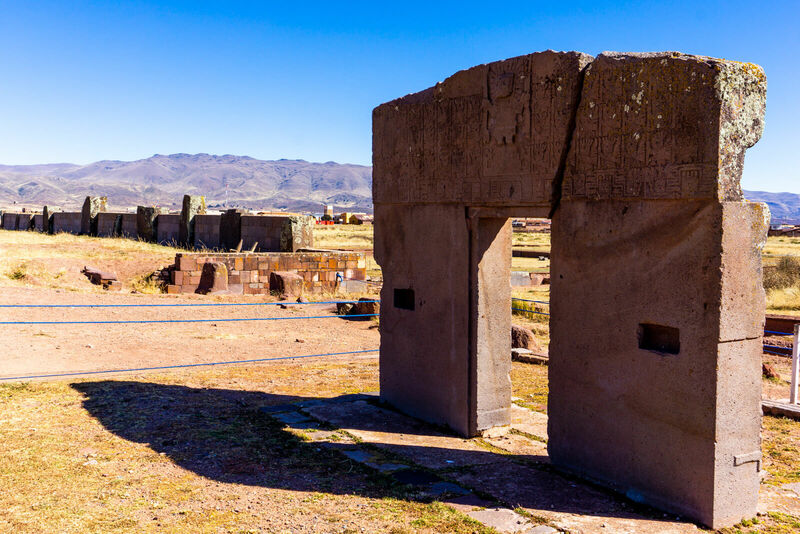 When it comes to Andean Civilizations, the Tiwanaku Culture is one of the most mysterious of them all. Come explore the Tiwanaku Ruins and uncover some of their secrets yo!!! Civilization, what a fascinating word. It has often been used to divide the world and its inhabitants in two separate groups, the civilized and the uncivilized. And yet, what does this word really means? When the conquistadores arrived to the American continent, they didn’t hesitate to brand the native cultures, such as the Bolivian civilization, as uncivilized. Were they right? Absolutely not. Pre-Hispanic civilizations were, in many aspects, more advanced than their European counterparts at the time. 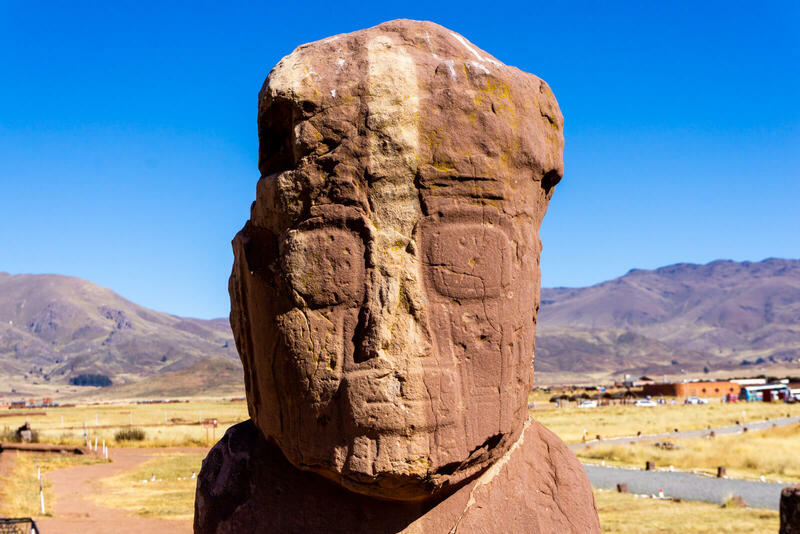 Tiwanaku, one of the most mysterious Bolivian civilization is a good example of that. Are you ready to uncover the mysteries of the Tiwanaku Ruins with me? 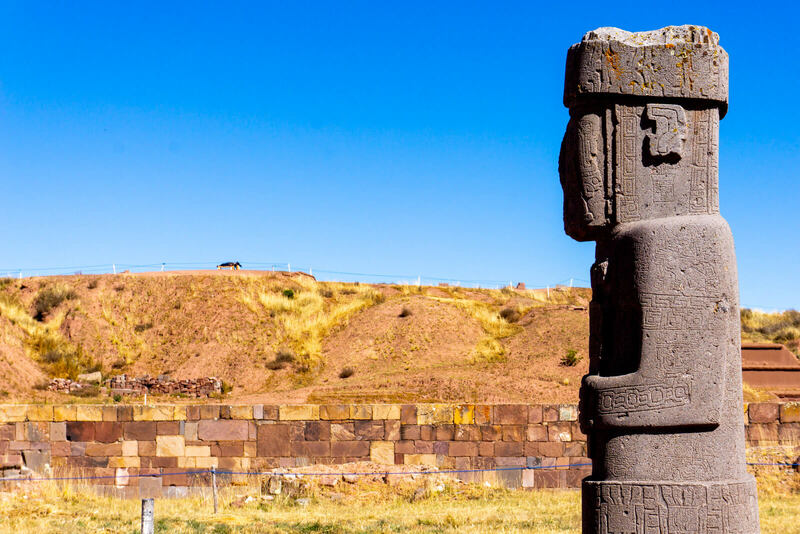 While not as popular as the Mayan, Aztec or Inca civilizations, the Bolivian Civilization of Tiwanaku is one of the most important Pre-Hispanic cultures of the Andean region. Located less than a couple of hours away from Bolivia’s capital, La Paz, Tiwanaku is starting to become a booming touristy site. One of the most impressive things about this site is the fact that the stone quarry where this stones originated is located on the western shore of the Titicaca Lake, about 15 kilometers away. How did the Andean people carry these enormous blocks (most of them with a weight of more than 100 tons) ? How did they managed to carve them? And more importantly…why? Those are just a few of the mysteries that the Tiwanaku Ruins posses. 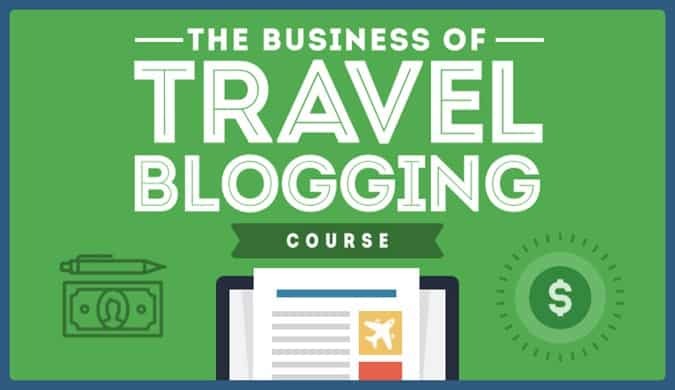 The first was mainly a logistics one since taking a taxi and having the driver wait for me would be twice as expensive as the guided tour while taking the minibus and the long route would be extremely time-consuming. 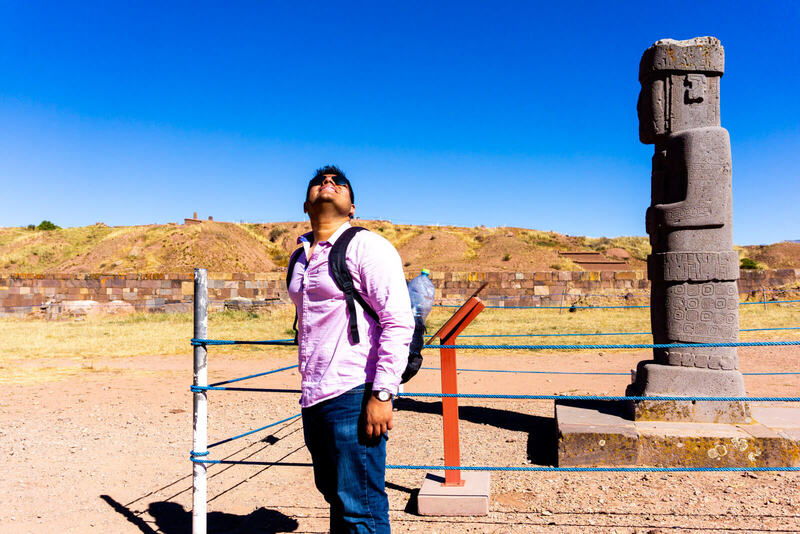 The second reason was the most important one: There isn’t enough information about Tiwanaku to be found online and I hoped that having a local Bolivian guide would help to gain a better understanding of this magical place, after all, he IS part of the Bolivian civilization. I’m glad to say that I wasn’t wrong. After a very scenic journey from La Paz to Tiwanaku, we arrived to the archeological complex 90 minutes after we departed. 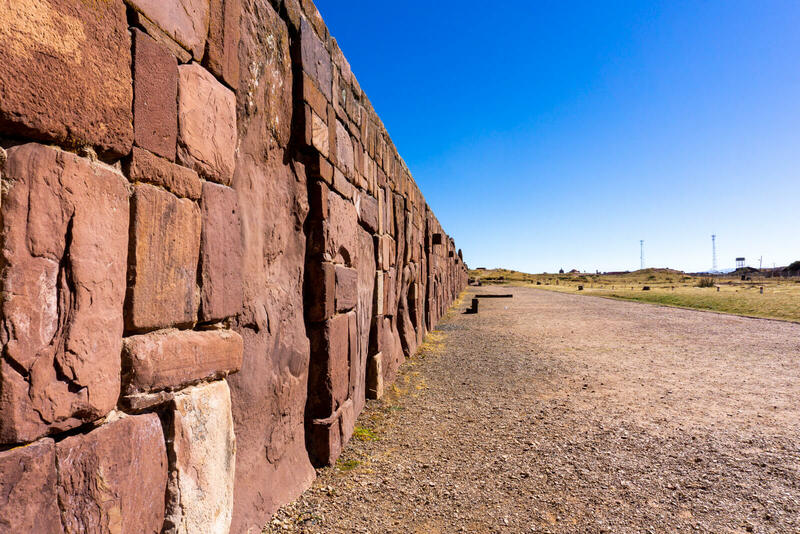 The Tiwanaku Ruins complex is divided in two museums and a huge open-air site where you can get close to the ruins of this ancient Bolivian civilization. Unfortunately, pictures were not allowed inside of the museums but let me assure you that it is better this way. 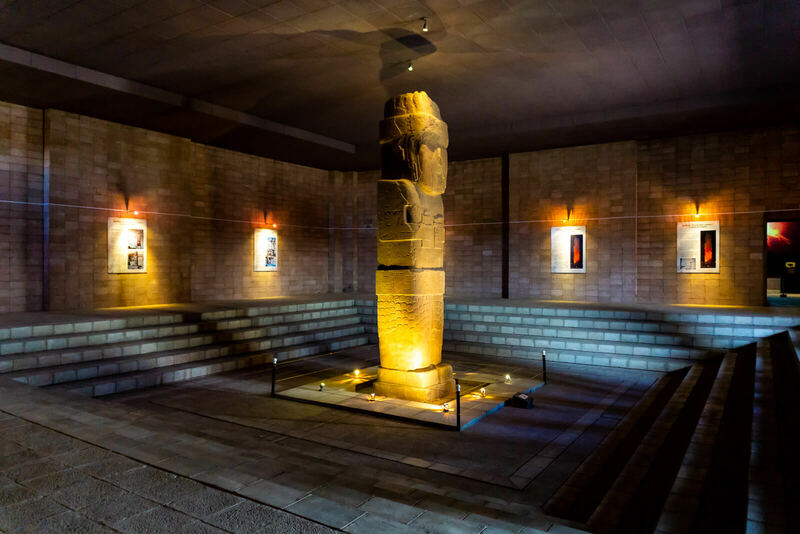 The sheer amazement of seeing Tiwanaku’s Bennett Monolith, a colossal seven meters monolith that weighs over 20 tons is worth the entrance price. 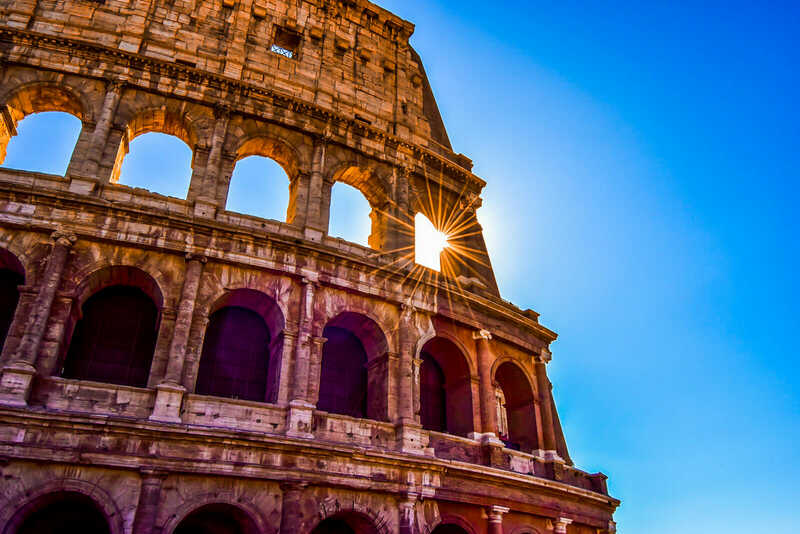 Take your time in exploring the amazing carvings of the statue as well as listening to the many theories surrounding the meaning of its symbols. And yes, feel free to snap a shot or two when nobody is looking. The second museum offers a brief recap of the Bolivian civilization as well as many vases, weapons and other objects. One of the highlights is the curious looking mummies, which were buried in a very unique and peculiar way. 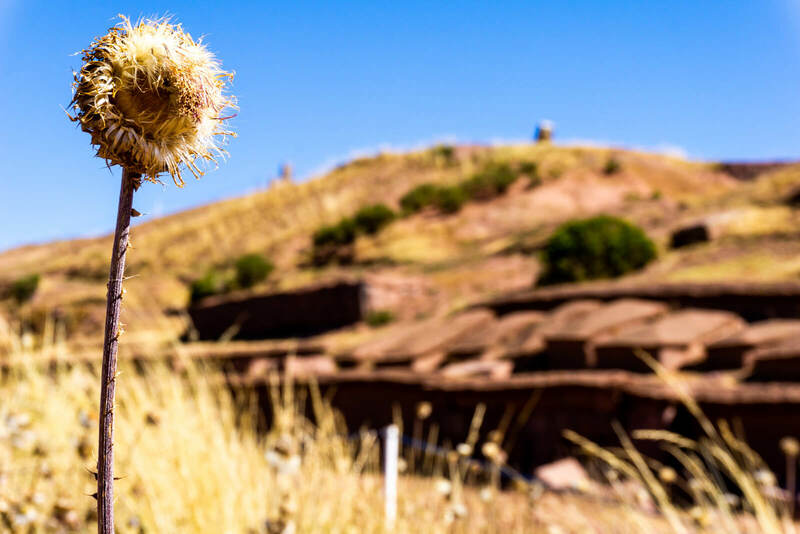 Once you’re already well-informed of the Ancient Tiwanaku Civilization, you are ready to embark on the best part of the trip: The Tiwanaku Ruins. We started by climbing the remains of what once was an adobe pyramid, the viewpoint located at the top is quite a sight, specially once you start to examine the basalt stones that were meticulously carved (the method of such exact and accurate carvings is still unknown to this day) and arranged in order to match the Southern Cross constellation. My favorite part was when we trekked down to the Underground Temple, here people can find detailed heads of humans, demons and animals as well as a few more monoliths (although none as impressive as the Bennet Monolith located inside of the museum). From here you can look up to the Gate of the Old Gods, local legend has it that only the supreme rulers of the Tiwanaku civilization were allowed to enter the upper Temple using this door, everybody else had to circle around it and use one of the other three accesses. Our guide told us that, in more recent times, every time that a Head of State visits Evo Morales, Bolivia’s current president, he invites them to the Tiwanaku Ruins and offers them the privilege to enter through this gate. Hopefully I’ll be invited one day once I become the Emperor of Mexico. Small goals uh? 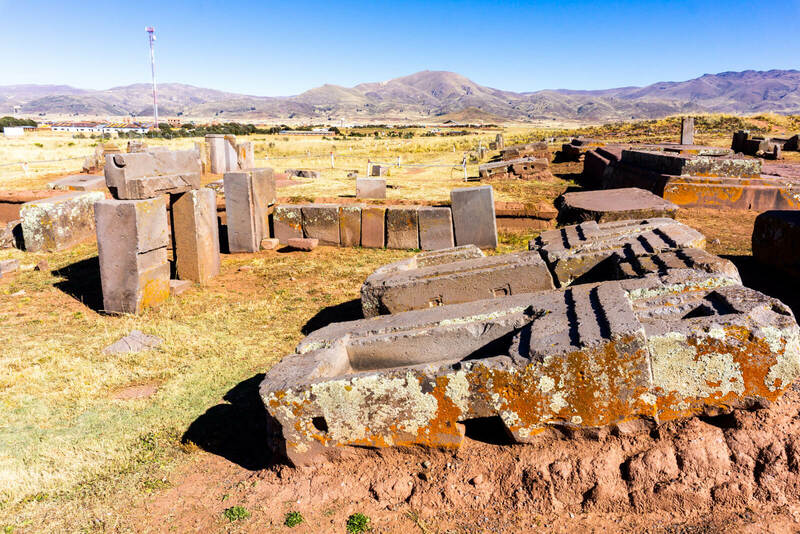 Tiwanaku Ruins: an Unsatisfying Conclusion? Once we circled the Gateway of the Old Gods and entered the upper temple, we found the second-most impressive statue of Tiwanaku: The Ponce Monolith. Also, in this area we can marvel at the crown jewel of the Tiwanaku Ruins: The Gate of the Sun. The reliefs and mathematical perfection of this monument is the testament of the high-level of advancement that the Tiwanaku civilization had hundreds of years ago. At the center of the gate lies the image of Viracocha, the Sun God and one of the most important deities of the Bolivian civilization, he is surrounded by 24 rays of light, each one representing an hour of the day. When the conquistadores first found the gate, it was already broken and split in two parts, many hypothesis have tried (and failed) to solve the mystery of how did it happen with the most popular one being that it was the result of a precise and severe thunderbolt. Me? I blame the Aliens as usual. Local legend has it that this door holds a secret that the ancient Bolivian civilization left hidden in the Titicaca Lake and that it will resurface and help humanity in a time of crisis. Legend, myth or reality? Probably a mixture of the three. 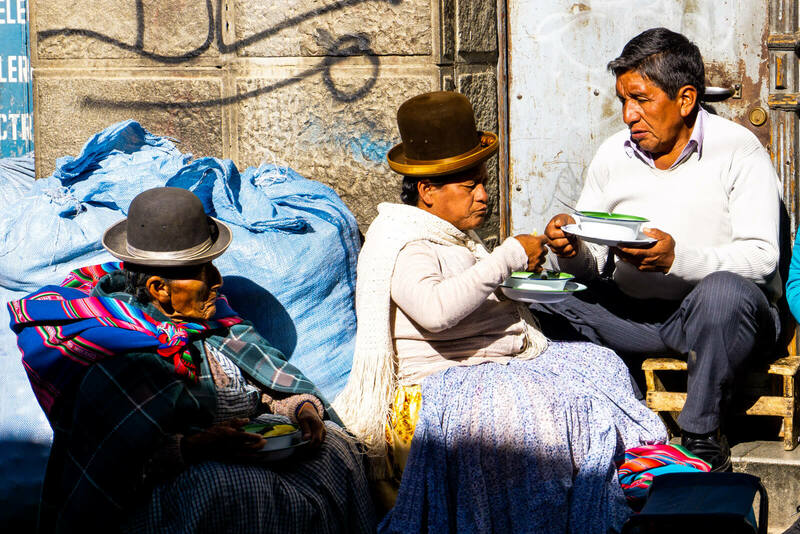 At the end of the day, the guide took us to a nearby local restaurant where I tried to eat alpaca meat (a close relative of the llamas), needlessly to say, I was totally grossed out after a few bites and ended up just having a lentil soup instead. At the table, I reflected about what this day has taught me and shared my experiences with the fellow travelers that also took the tour. It was a consensus that we all ended up with more questions than answers about the Bolivian civilization of Tiwanaku and yet, this is what made this trip so special in my mind. This sense of the unknown, this feeling that in this vast world there are still some mysteries waiting to be solved…I just hope to still be alive by the time that they are finally revealed. Unlike isolated places such as Bolivia’s Salar de Uyuni, the Tiwanaku Ruins can be easily reached by public transportation for as cheap as 1 USD. Yes, you heard THAT right. As of 2018, a guided tour including transportation from La Paz will set you back 100 Bolivianos (roughly 14 USD) plus 100 Bolivianos for the entrance fee (another 14 USD) so it is understandable if you want to save some cash in order to buy more empanadas or watch the Cholitas Wrestling. From downtown La Paz, you have two options, the second being way faster and cheaper than the first one. Option 1 is to walk towards the Cementerio from which you should find a colectivo mini-van to Desaguadero, the uglier of the two most popular Bolivian-Peru border. On the way (roughly 90 to 120 minutes after leaving La Paz), ask him to drop you off at the Tiwanaku highway access from which you can walk 2KM to the Tiwanaku ruins. Price is 20 Bolivianos (roughly 3 USD). Option 1 is to take the Red Cable Car (Ticket costs 3 Bolivianos which is roughly .40 USD) fom the Cementerio to El Alto after which you can take the Blue Cable Car to the highest point of El Alto. From here, you can take a direct mini-van to Tiwanaku Ruins for 6 Bolivianos (less than 1 USD) and you will save at least 30-40 minutes of the journey’s total time. Bolivia sure is cheap, uh? 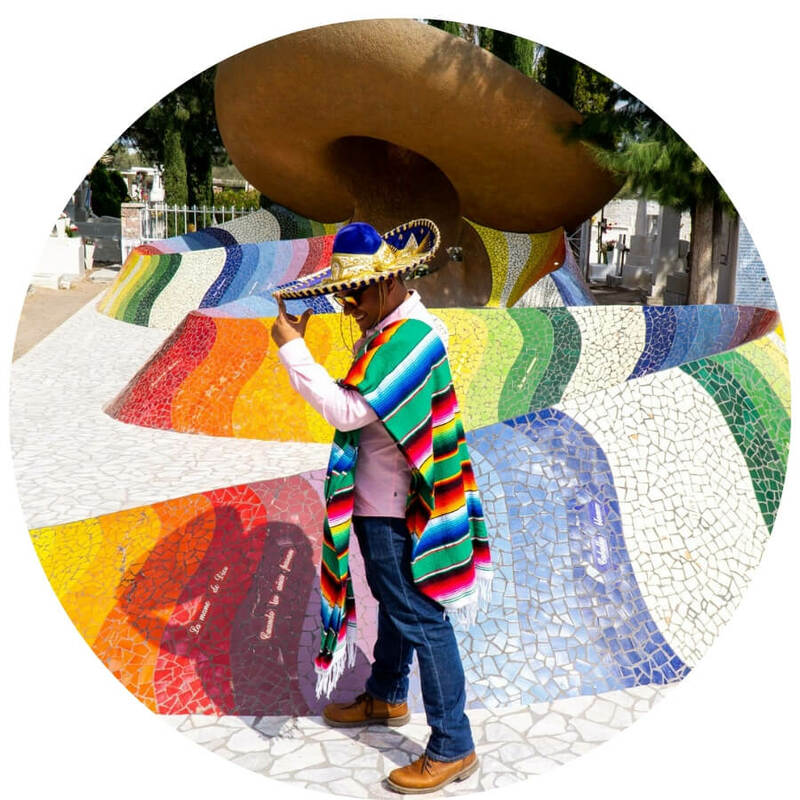 Accommodation in La Paz is focused mostly in the historical centre of the city where you can find interesting colonial boutique mansions and a great diversity of backpacking hostels. 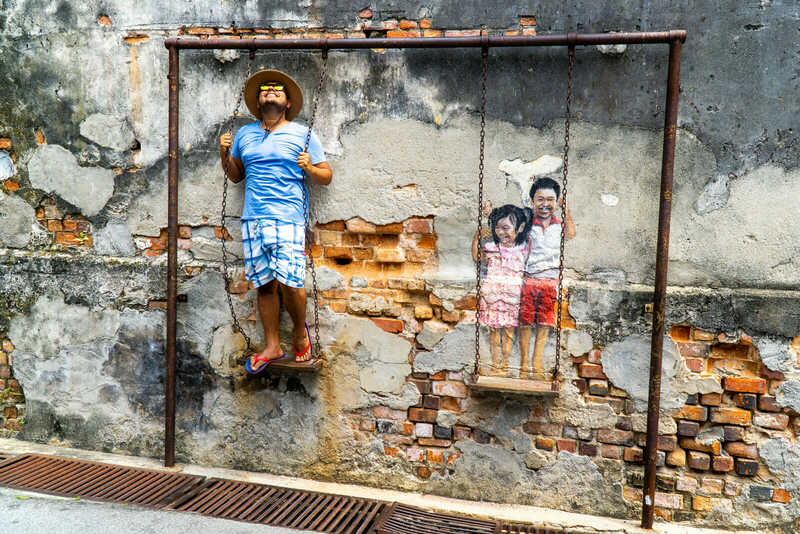 Here’s a list of my recommendations for all types of budget: Adventure Brew Hostel, Wild Rover Backpackers Hostel, Stannum Boutique Hotel and Ritz Apart Hotel. 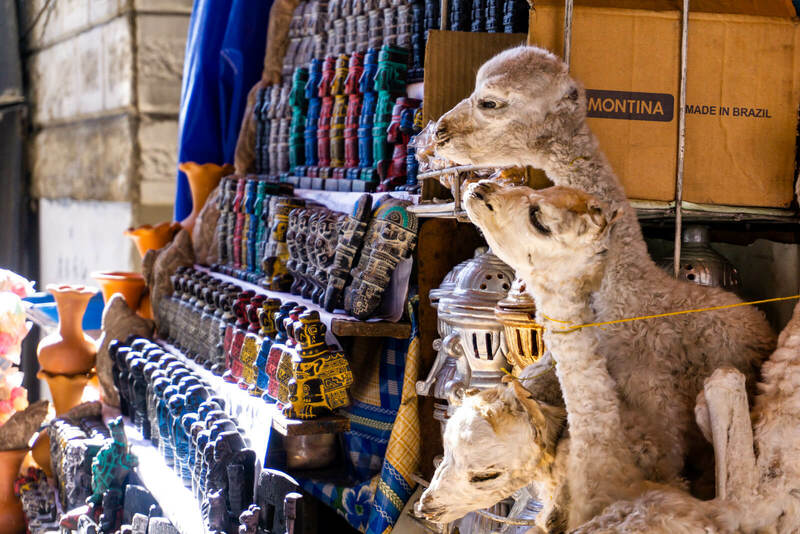 I hope you have enjoyed this article about Bolivia’s Tiwanaku Ruins. Don’t forget to subscribe in order to get more awesome updates and tips straight to your e-mail! 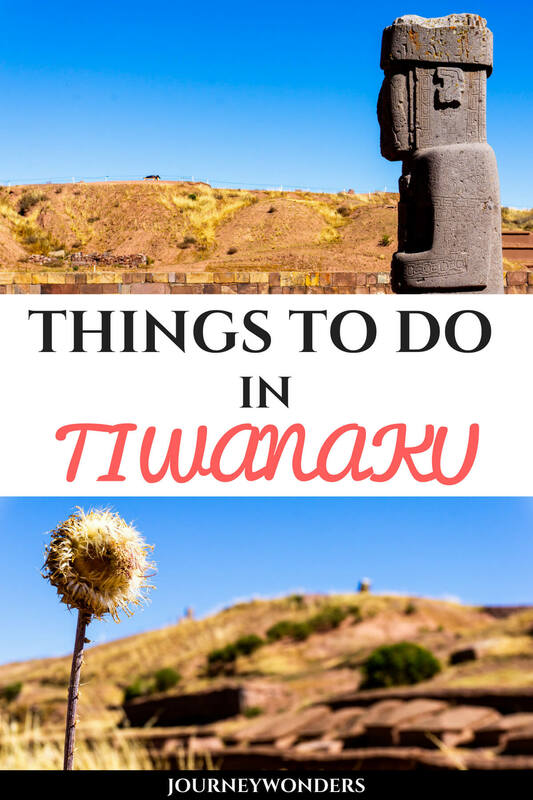 Have you ever been to the Tiwanaku Ruins? Would you like to? What was your experience like? Share your thoughts and let me know what you think! How did alpaca meat taste? why cudn’t you have it? I have never heard of Tiwanaku before. Looks fascinating. 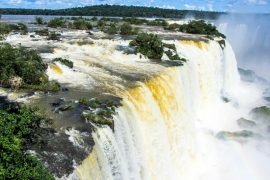 Perhaps I can squeeze in a visit when I return to Bolivia for a few days in June. Would love to see it up close. I’m planning on going to Boliva in December and was planning on visiting Tiwanaku. 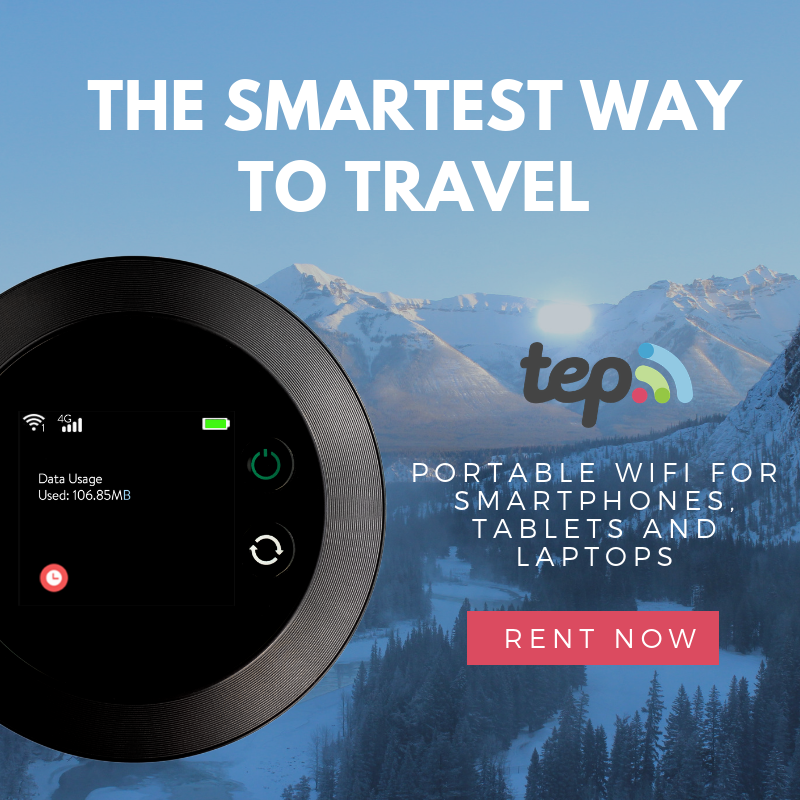 Could you recommend a tour guide or company that I should use? I was originally planning on going myself using public transit, but you are right that there isn’t a lot of info to be found regarding Tiwanaku (I think the guidebook I’m using has a paragraph). This is truly awesome! 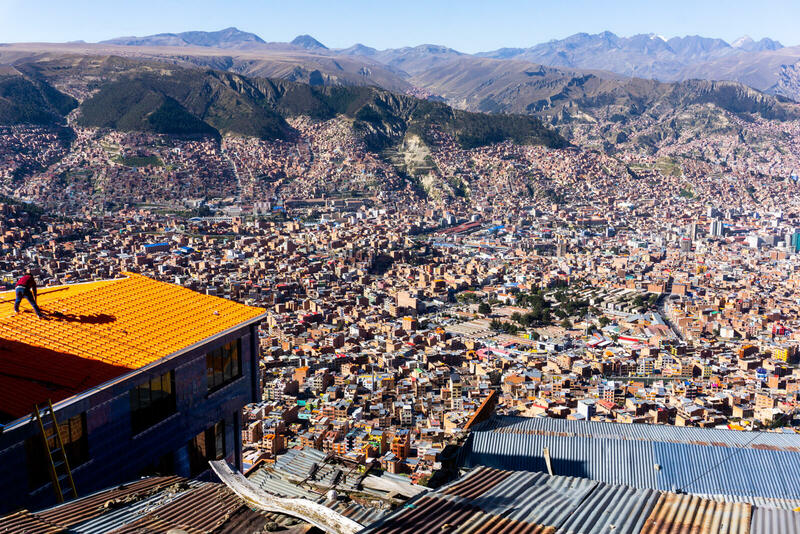 We’ll be in La Paz in a couple of weeks and have a few spare days – looks like we’ll be taking a day trip! Thanks! Great article, no question most central and south American civilizations were way more advanced than the European invasors.